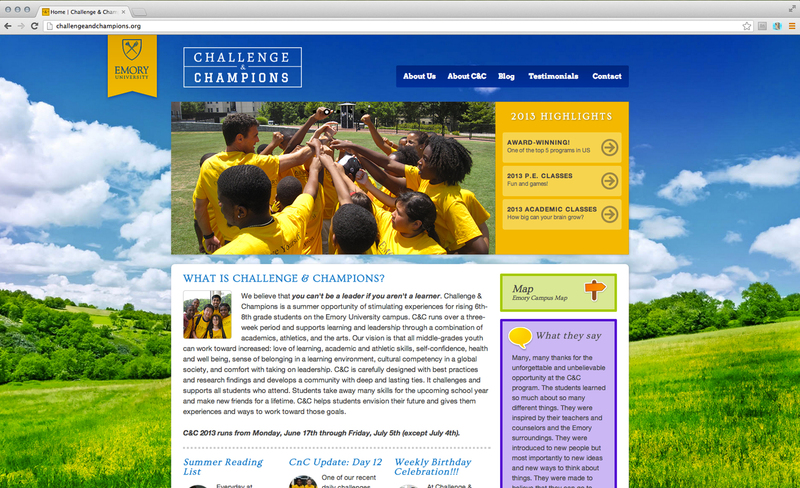 Each year Emory University hosts a summer program for middle school aged youth called Challenge & Champions. This award-winning program runs over a three-week period and supports learning and leadership through a combination of academics, athletics, and the arts. Our vision is that all middle-grades youth can work toward increased: love of learning, academic and athletic skills, self-confidence, health and well being, sense of belonging in a learning environment, cultural competency in a global society, and comfort with taking on leadership. 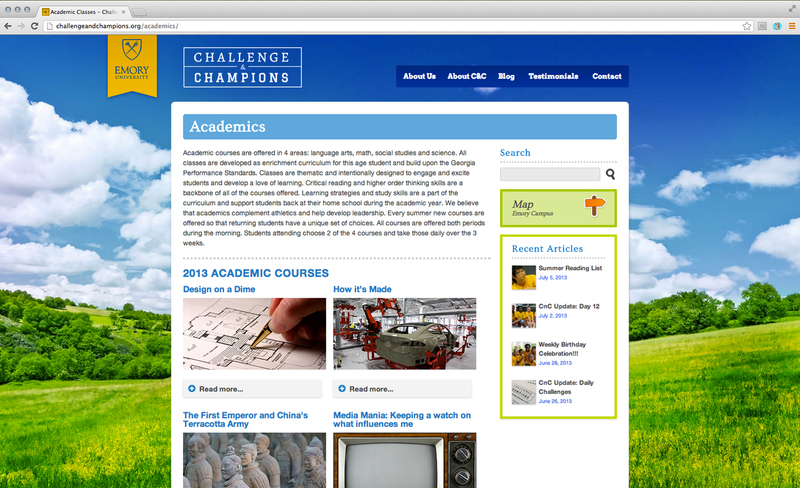 We helped C&C develop a new brand that aligned with Emory University’s aesthetic and helped them put up a WordPress site that kids can blog on over the summer.